Several years ago, I experienced Mike Levy’s original loudspeaker design, the FRM-1s, at a well attended CES. The sound was wonderful but the design was hamstrung somewhat, needing four channels of amplification and DEQX room calibration. Score one for the sound, but zero for the needs of everyday audiophiles. For more than a few years after the show, Levy received requests to modify the speaker to a standard two channel amplification design so the beautiful sound could be enjoyed by all. Well, maybe not all, at $15,000 (plus stands), but the thoughts were pure. For context, I'll quote from Martin Appel's Audiophilia review of the FRM-2s for the start of the story. Just prior to the FRM-2s I had the FRM-1s which were formerly known as the Wasatch Musina (no longer produced). The Musina is a crossover-less, 2-way stand mounted monitor that required the use of the active crossover network of the DEQX Processor with the full use of its speaker calibration and room correction capabilities as well as four channels of amplification. The sound from the FRM-1s was excellent, full range, detailed, dynamic, and musical. Anyone who heard the system always asked where I was hiding the subwoofer. People were astonished at the full range of sound the system produced. These are the speakers I heard at CES, and they were wonderful. Much later, Levy’s company Alta Audio took a giant and very positive leap into successful high end audio entrepreneurship and used the FRM-1 design to develop the FRM-2, now in two-way, two channel amplification guise, as the cornerstone of its wonderful product list. Alta now manufactures seven of Levy’s designs, from the entry level Solo to the megabuck Statement Tower. The Alta Audio Celesta FRM-2 Full Range Monitor is engineered and design housed in an ultra hard, ultra high gloss polyester finished cabinet featuring both modern and retro design elements. While its aesthetic beauty is obvious, its engineering is the culmination of 35 years of loudspeaker design expertise guiding a 2 year research and development project. The speaker incorporates the latest state of the art components in a new cabinet featuring DampHard: a multi density layered construction which presents a hard surface externally, while damping out unwanted resonances. The result is a clean silent background on which the fine details of the music are evident. Our custom designed drivers produce exceptionally fast, clean, powerful, and deep bass thanks to the use of our proprietary Alta XTL bass tuning system [more on this topology later] which gives this monitor speaker bass you would expect from a full sized reference speaker. Internally, the speaker uses the highest grade silver foil capacitors and extra large Litz wire inductors with ten gauge deoxygenated copper wire in a special configuration that gently blends the drivers with such accuracy that vocal and instrumental details are presented with remarkable clarity, and the natural timbre of the music is preserved. The elimination of diffraction distortion combined with the accuracy of the crossover creates a huge listening window. From their outset, I've coveted these speakers. Full disclosure—Levy has written some articles and reviews for Audiophilia and we became very good friends. He's definitely a big part of the Audiophilia family, and his wonderful wife, Maryann. When his new company Alta Audio took flight, Levy wanted reviews and to advertise with Audiophilia. We obliged, under the proviso that his name came off the masthead (it's our loss that we don't get the benefit of his technical and elegant prose) and the absolute guarantee that our friendship would not suffer under the scrutiny of Audiophilia's scrupulously honest reviews. First in the firing line was Martin Appel's review of the FRM-2s, with disclosure notices. Followed by reviews and reports on several of Levy's newer speakers. And from the Solo to the Statement, Levy was receiving raves, and not just by us. The big take away from the reviews was the 'family sound' so desired by loudspeaker companies (think Raidho Acoustic, Wilson Audio, Focal Utopia, etc) and so often missed (insert many companies, here!). Also, the harmonious marriage of ribbon tweeters and dynamic drivers—also a big deal if successful (think Raidho Acoustics, again) but difficult to achieve. Many have tried and failed. Hardly a monitor in reality, the solid and sturdy FRM-2s are stand mounted (you can use any decent stand that aims the ribbon straight at ear level). The associated Alta Audio stands in the same insane polyester finish as the speakers will run you an additional $5000. Too rich for all but the addicted, wealthy audiophile. Matching Alta stands in a standard finish can be had for $2000. Mine sound just fine on $300 amazon.com specials. I love speakers that sound best firing straight out into the room. The Celestas and my previous references, the Raidho Acoustics XT-1s, demand a slight toe in. The soundstage remains wide but imaging is a little more focused. The tops of my stands are smaller than the bottoms of the Altas, so dabs of Blu-Tac helped secure them. The Celestas granted to me were well-played demos. No break in required. My standard line to obstreperous musicians who require too much time, patience, and too many cues in rehearsal is 'I'm a musician, not a magician!'. Levy, however, is a magician. A conjuror extraordinaire of electronics. He chooses parts and materials that work harmoniously, modifies drivers, voices and balances crossovers with the ear of a good conductor, and visually designs with a refined aesthetic. As mentioned, all his speakers have a 'family sound'—that open, highly detailed, refined sound so beloved by audiophiles. All the while, instruments and voices are specified in a natural soundstage with all octaves in perfect balance. Never a frequency shout, never a bloated bass line (more about the superlative bass below). A ribbon tweeter unlike any other; the ribbon tweeter is the best performing tweeter we have ever seen. Custom built to our specifications its clarity and dynamics are unmatched. Extremely clear, fast, flat high-end response and extends over an octave above the scope of human hearing. We use a six inch woofer with a 3.1 inch diameter long throw voice coil using a high powered motor allowing for smooth air flow melds seamlessly into the ribbon tweeter thanks to its low mass and high speed while performing incredible feats in bass response thanks to the Alta XTL bass tuning system. It features a Uniflow™ Aluminum diecast chassis, a Hybrid™ Neodymium/Ferrite magnet system, Titanium coil bobbin, a 3″ Large Hexatech™ Aluminum voice coil, and a Coppersleeve Neolin Motor with high power handling. As a designer, you try to design a cabinet that doesn’t resonate. Resonances locate your speaker in space, causing you to hear the speaker and its location in the room rather than the music itself. Standard design strategies involve putting heavy padding material inside the cabinet to dampen unwanted resonances. Excessive internal dampening causes the lower frequencies to become muddy and distorted, giving a booming, humming quality to the sound that removes the clarity of the bass. When you have excessive dampening material, you’re hearing the padding instead of the music. Our solution to this is our proprietary material DampHard: a multi-layered, multi-density material that makes up the walls of all our high-end speaker cabinets. Where standard MDF or other materials would allow certain frequencies to resonate the cabinet, DampHard remains dead to virtually all vibration. This allows us to heavily cut down on a cabinet’s internal padding, maintaining the clarity of the bass. Driver marriage made in heaven. This octave is getting its own section. It is that good. First, it is perfectly integrated with the mid bass, mids and treble. Nothing sticks out. But when specified by the composer or the engineer, pow! Try the two tubas (low F) and bass drum in the opening of Stravinsky's Le Sacre du Printemps (Salonen/LA/DGG)—this is one of my hidden gems to surprise guests. On this live recording, the engineers replicate the sound perfectly. All three instruments are separated by tone and in space, but the effect, the visceral movement of air, is astonishing. Another example is recent, also with a listening guest—to be honest, I scared the crap out of myself. And the guest! For a brief second, I worried about the drivers. But then remembered instantly that there was zero distortion in the actual sound, and the bullet proof nature of the speakers. Literally, they ate up the sound. More Stravinsky, this time a 180g vinyl reissue (Mercury/LSO/Dorati/Firebird). In the latter stages of the second half of the complete ballet, King Kastchei is beating someone to death, eating one of the Princesses, fighting Prince Ivan, or something equally dastardly, and the chomping or beating is replicated by timpani (two players) and bass drum. The bass drum power almost knocked us both out of our seats. We were too shocked (and thoroughly thrilled and impressed) to speak—we let the evil one go about his business. The bass coming from these stand mounts is nothing short of spectacular. One more quick bass story. A turntable designer was here on the island this week setting up his new 'table for review. As he stood watching over his baby with eyes wide open waiting for some comment, he played a few Japanese pressings of Steely Dan and Michael Franks (lovely). Then I threw on the Classic Records reissue (RCA/LSO/Martinon/Shostakovich First Symphony), a Kinsgway gem. 'Do you hear that rumble? ', I said. Poor choice of words on my part, as he squeaked out a nervous 'yes'. As he restarted his heart, I quickly explained how the speakers (and his turntable) were playing the London Transport 'tube' rumble very accurately from the Piccadilly Line underneath Kingsway Hall. A very good thing. He audibly sighed relief. The baby was fine! XTL stands for Extended Transmission Line, an Alta Audio proprietary technology used in all our speakers. We developed XTL using specialized sonic geometry to tune our cabinets like musical instruments, allowing all our speakers to deliver unprecedented clear, fast, and powerful bass. Standard transmission lines can make the bass slow and distorted. The difference between Alta XTL and a standard transmission line is that we tune the cabinet at multiple frequencies, not just one. Think of it like a cello amplifying and extending the notes played off the strings. Our cabinets are tuned to extend the bass of a driver, giving a clean fast bass response that is in a different class than standard transmission line designs. The speakers go flat to 29Hz, which is quite an achievement. At 87.5 dB, the Celestas are not the easiest to drive, but I've heard them with many different types of amplifiers, some powered less than 100 watts. The speakers require single wiring. After 23 years at the helm of Audiophilia, I decided to accept a kind offer from a friend and give a long-term home to these very special speakers. 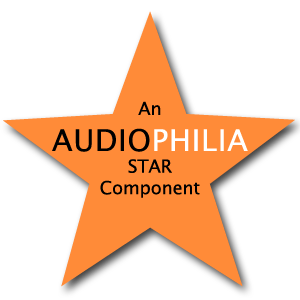 Several of our writers, the NYC Audiophilia Mafia mostly, have also benefitted from Levy's kindness and expertise and use them as their reference speakers. And why not? Almost full range from a stand mount. Sounds like a small NYC apartment/audio love story. In fact, every time I've visited the guys and gals, they've encouraged me to get a pair. I loved my Raidhos, but now the Danish beauties take a back seat to these Long Island gems. My last trip down to NYC I heard Janis Ian's Breaking Silence reissue on Karl Sigman's system, replete with VPI Prime Turntable, Grado Labs Statement v2 Cartridge, and the superb Pass Labs XP-17 Phono Stage. What a sound of a human voice. So intimate, so layered, with the most incredible recording and backing musicians. My lust for the speakers was growing rapidly. I offered a few hints to Sigman, who is usually in weekly contact with Levy. Then came the call. I've been in Nirvana since. There are a legion of companies that make fine, one-off speakers, but few that parlay the designer's sound design into boxes/topologies of different shapes and sizes. Dancing with physics. You can add recent Sonus Faber models to the previously mentioned Raidho Acoustics, Wilson Audio, and Focal (Utopia line) that have achieved this difficult task (interestingly, three of the companies had a paradigm shift in sound design cues during the past decade, and with incredible success). Alta Audio is right there with them. And with the Celesta FRM-2 Loudspeakers, Alta Audio's 'Signature Speaker', this American-made gem is musically ready for anything an audiophile can throw at it. Very highly recommended.